The 3271 Volumetric Fuel Sender provides very accurate measurement and output of either the remaining Fuel Level or the remaining Fuel Volume to the NMEA2000 network. It is accurate to ±2% and automatically provides a stilling action to dampen out fuel slosh in the tank to maximize accuracy when conditions are rough or the boat is travelling quickly. 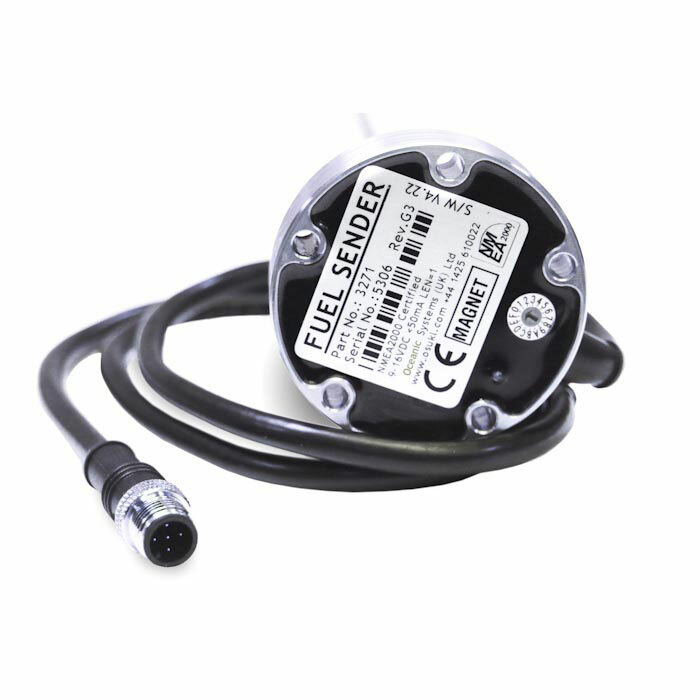 The 3271 can be programmed with up to 100 volumetric points so that it offers the most accurate indication of the remaining volume of fuel in the tank. This information can then be displayed on any NMEA2000® enabled display, wherever it is required. The sender is robustly constructed in stainless steel with no moving parts to stick or fail in service. It is available to suit tank depths from 250 mm to 2 meters. The sender constantly monitors the fuel for any water contamination and warns if any is found to protect the engine from expensive damage. 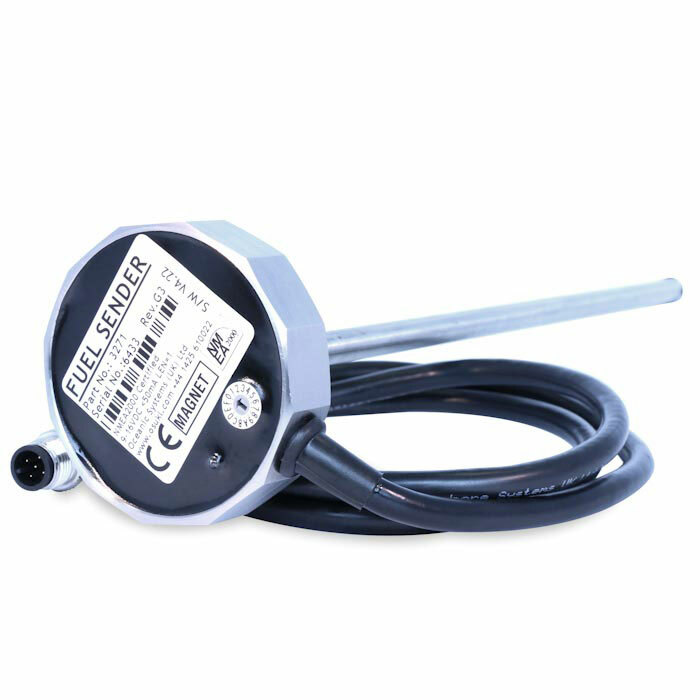 It is certified to the NMEA2000® network standard and attaches to the network using a single micro plug. The sender is powered from the network and draws less than 50mA.